Start your own collection of Aurifil Thread with Jen’s Favourites Thread Club! 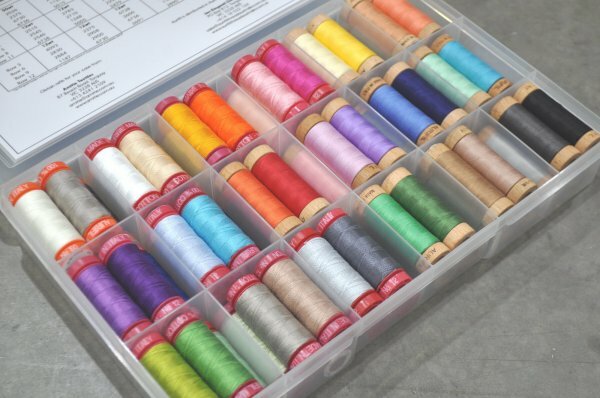 Amitié is proud to present its first ever Thread Club and what better way to start off than by having our Jen select threads for you to use in all your cherished projects. Jen loves Aurifil thread, and so will you. 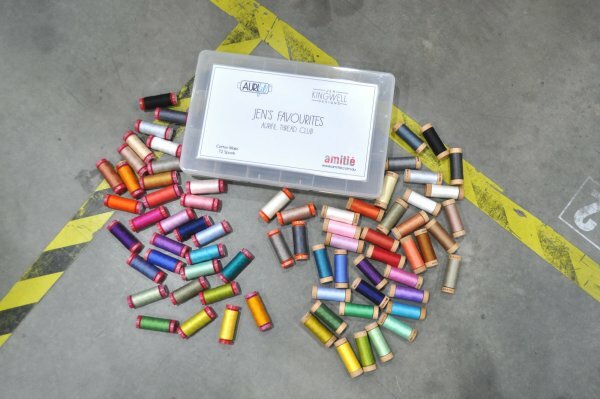 It’s versatility, strength and lustrous colour is the reason Aurifil have achieved worldwide success. It is the only thread Jen stitches with, whether it be by hand, by machine or for hand quilting. In this club, over the course of a year you will receive a selection of threads each month, hand chosen by Jen herself. 12 months of threads in 3 different thread weights. Each month you will receive a selection of 6 spools and in your first month a container to store your threads. 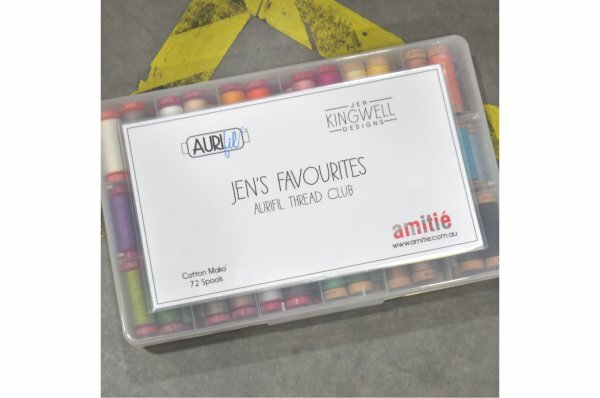 The range of colours Jen has selected are the ones she uses most often making this club perfect for all the Jen Kingwell addicts of the world! Cost of the program is AUD $59.00 per month for Domestic AND International participants. The best thing about joining thread club, you can join at any point in the program.